Extremely prolific Welsh writer whose works often includes elements of the fantastic, often ironic or absurdist. His website is here. • "The Lute and the Lamp"
"The town was in uproar, which was difficult, for the wind blew from the south and tumbled the shouts back down into the streets. The scent of the mountains came too, cool and lonely, and because the windows of the tall houses were open, it mistook rooms for gullies and filled them" "The Promised Labyrinth"
" Horses are for courses — and courses are the building blocks of dinners — and dinners, at least when hot, are always less in total than those various things which many people do often. Don Entrerrosca was in need of a steed"
• "The Toes of the Sun"
"They say that Don Entrerrosca was once a minstrel. But something happened which made him reject the idea of performing for other people. The details of this incident are not mysterious, despite his best efforts to make them so, but at any rate he decided to become only a spectator"
• At Heliotrope: "The Rhondda Rendezvous"
"It was half past midnight when Jerry Cornelius returned to Tenby as a last desperate resort. There are many desperate resorts along the South Wales coast. Tenby’s turn had finally come." • At Serendipity: "The Folded Page"
"'It's true." Aguri creased his brow. "Believe me, no matter how large that piece of paper, eight times is the limit. I'm surprised you don't already know this. It's one of those unexpected facts that people like to share with each other.'" 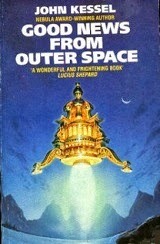 A Hugo Award winning, and Nebula Award nominate, author, Brunner was a prolific, science fiction writer. 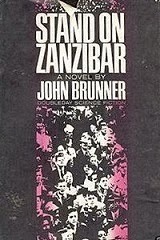 An excellent writer, Brunner is perhaps best known for the Hugo winning Stand on Zanzibar. Unfortunately the only works of his that are freely available are two Mindwebs readings. "Scientists create an immortal super-robot named Alexander to rule the human race and who, like his namesake, possesses an insatiable thirst for conquest that extends across the stars." • "Wasted on the Young" - Mindwebs. "A future social system in which the young, up until age 30, are allowed to live at society's expense, charging any extravagance they desire to the state, after which they must repay that luxury with years of service." - OTR Plot Spot. 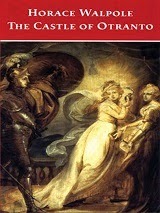 An important 18th century writer, Walpole is best remembered for his 1764 novel The Castle of Otranto, the first gothic novel. Walpole's influence can easily be seen in the works Poe and Shelley, and through them to many modern writers. "Manfred, Prince of Otranto, had one son and one daughter: the latter, a most beautiful virgin, aged eighteen, was called Matilda. Conrad, the son, was three years younger, a homely youth, sickly, and of no promising disposition; yet he was the darling of his father, who never showed any symptoms of affection to Matilda. Manfred had contracted a marriage for his son with the Marquis of Vicenza’s daughter, Isabella; and she had already been delivered by her guardians into the hands of Manfred, that he might celebrate the wedding as soon as Conrad’s infirm state of health would permit." 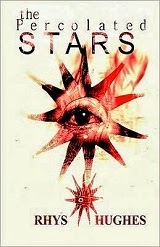 A Nebula Award winning, and Hugo Award Niminated, science fiction and fantasy writer, Kessel's "short fiction rapidly established him as an author of cunningly pastiche-heavy, erudite stories." (SFE) His web page is here. Rather than reinvent the wheel here, I'm going to just give you the link to Kessel's page at the incredibly useful Free Speculative Fiction Online. 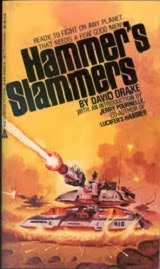 where there are free links to 23 of his stories, including the Nebula ward winning novellas "Another Orphan" and "Pride and Prometheus"
One of the better known Military Science Fiction writers, the prolific Drake is also a good fantasy writer. He is best known for the quite successful Hammer's Slammers. His website is here. 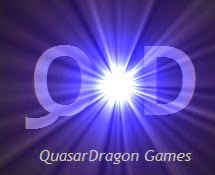 As with John Kessel above, I'm going to just give you the link to Drake's page at Free Speculative Fiction Online. There, you'll find 107 (that's not a typo!) stories, including several novels that are all free to read. Awesome.